Equation to calculate critical number of guests that make a party too noisy. 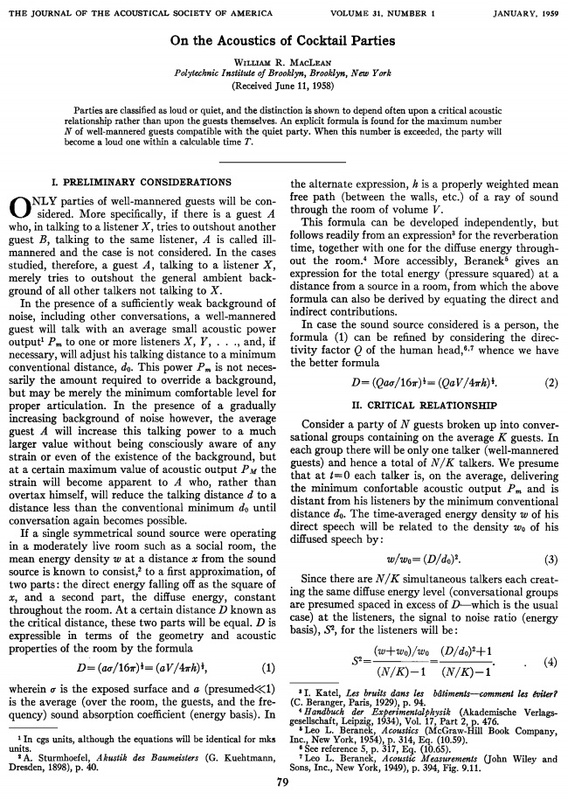 As derived by William R. MacLean, “On the Acoustics of Cocktail Parties,” Journal of the Acoustical Society of America, January 1959, 79-80 (link | pdf). Text via Futility Closet.